Millions of Canadians use Androids. Every month, it seems like one of my friends is switching away from an old BlackBerry or iPhone and embracing the future with Android. If you buy groceries, then congratulations: you’re a normal, functioning adult. With the help of Checkout 51, you can earn some money for buying different grocery items. All you need to do is scan the receipt. Once you hit the $20 threshold, you’ll receive your money in the form of a mailed check. 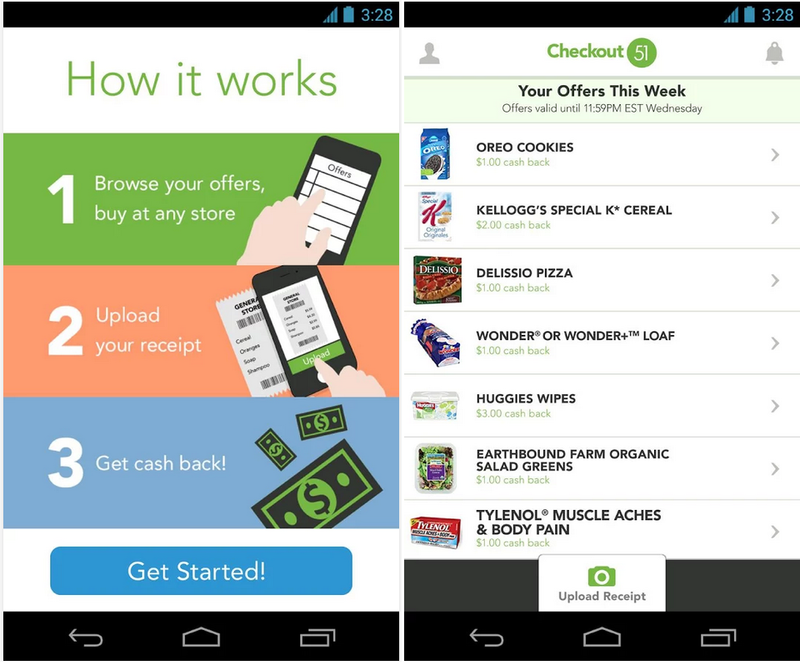 The app also includes coupons, grocery deals, and more. New offers come out every Thursday and you can buy the associated products from any store. Just take a photo of your receipt to redeem your deal. Easy! Checkout 51 is not currently available in Quebec. You can download Checkout 51 here. The app also supports a number of smaller cities like Kelowna, Squamish, Victoria, Whistler, and Kamloops…I guess the developers really like BC. Download the Transit App for free here. Canada’s weather can be ridiculous. The Canada Weather and Radar app doesn’t make it any less ridiculous, but it does make it slightly easier to predict. 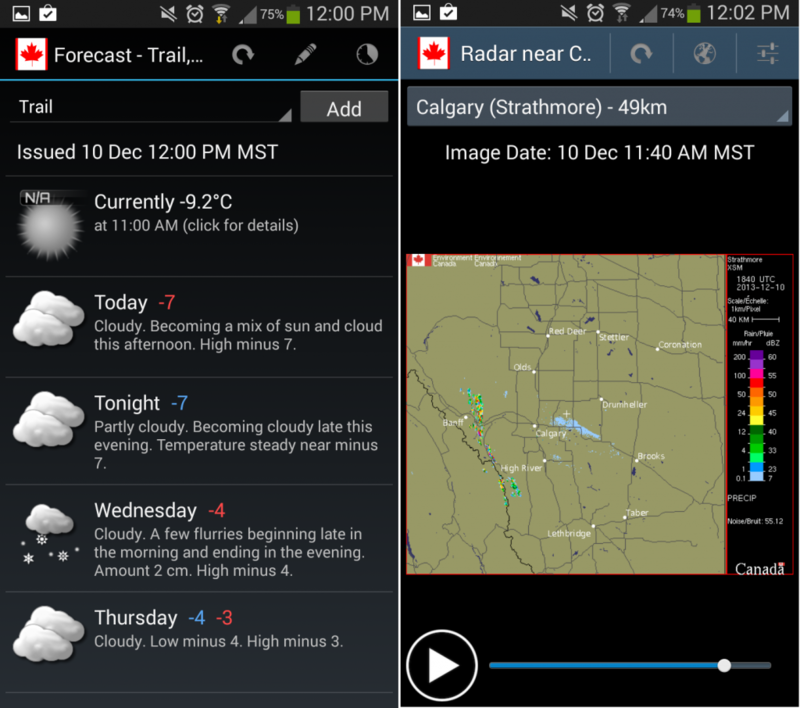 With the Canada Weather and Radar app, you can view up-to-date radar and weather information across Canada. This information comes directly from Environment Canada and features a simple, mobile-friendly interface. All Canadian cities have weather information and all major cities have radar data. You’ll also receive storm warnings and other emergency alerts. One of the best parts about this app is the widget, which alerts you to any developing conditions and updates quickly. Winter has arrived in Canada and this app is never a bad idea. If you don’t watch hockey, then what else do you do all winter? No matter which sport you watch, TSN tends to provide the best coverage. 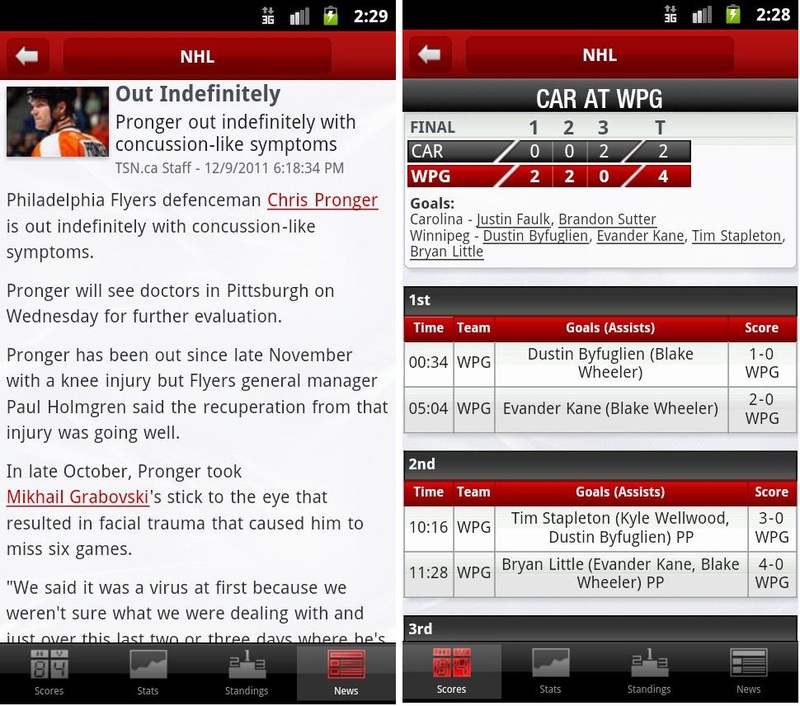 The TSN Mobile app is excellent and lets you easily view headlines by category, sport, or just by overall popularity. Each sports category lets you view current standings as well as information on league leaders, playoffs, and more. Scores also update in real-time, which means you can easily see just how badly the Leafs are losing at any time of the night from anywhere in Canada. Note: Judging by Google Play Store reviews, a lot of Android users have trouble with TSN Mobile crashing. If crashes are affecting you, I recommend installing theScore app, which features the same real-time hockey scores you need. TimmyMe is the official Android app from Tim Horton’s. 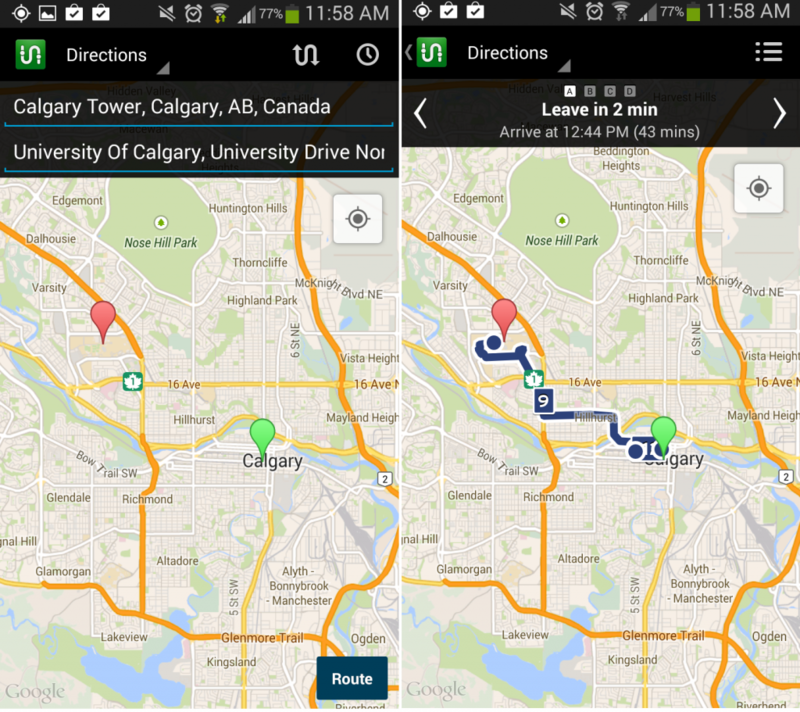 It shows you nearby Timmies locations on a map based on your GPS location. You can also view your Tim Card balance or even reload it directly from the app. Other features include nutrition info (don’t look at the iced capps or Boston cream donuts) and the ability to organize a Timmies run with your friends. -CIBC Mobile Banking: Probably the best mobile banking app in Canada; you can deposit your check just by taking a picture of it with this app! -Optik Smart Remote: Use your smartphone as a remote control or record shows on your Telus Optik PVR when you’re away from the home. -Kijiji Free Local Classifieds: Kijiji is Canada’s most popular classifieds website and is extremely active in most Canadian cities. 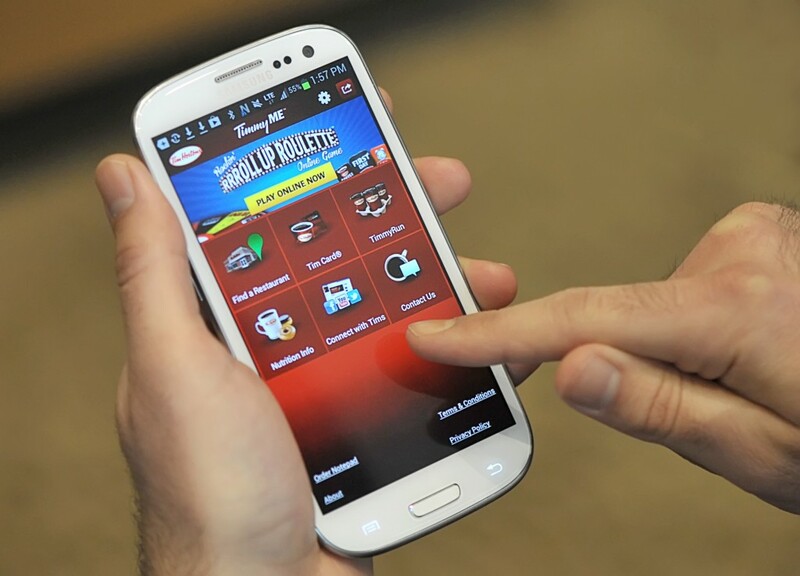 Get access to the latest deals on your phone using the Kijiji Free Local Classifieds app. Any other great Canadian app recommendations? Let us know in the comments section below!